I have been off the water for a week taking care of my wife who had surgery last week so Guide DP took these fisherman out on Sunday morning and showed them a good time. 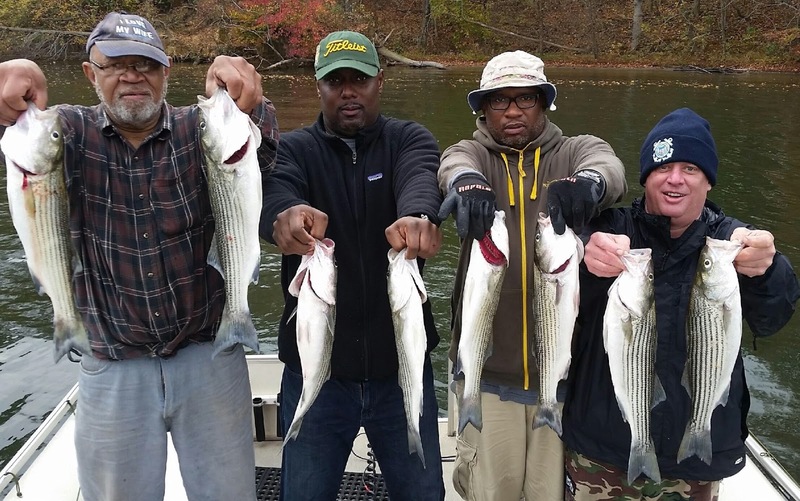 They are holding up 8 of the 20 Stripers they caught that morning. If all goes well I will be back out on the water next week. It is hard to stay around the house knowing the Stripers are biting and the Bucks are Rutting but I won't leave till my wife gets better. Those fish and bucks aren't going anywhere.